I’ve been following the smartphone addiction trend for about two years since I launched Bagby. It’s amazing how this issue has been nothing but growing and going viral in many diverse spheres (the news, schools, restaurants, corporate culture, etc.). "As a marketer and specifically as a Insights and Analytics lead in my previous life, I can tell you that when an issue is picked up by the people working in the advertisement industry, it means it’s relevant. There’s no smoke without fire"
That said, here are 5 great Christmas campaigns (and beyond) picking up on the Smartphone Addiction issue. This is a great sign for the people working in this new Digital Wellbeing / Wellness industry. Don't give up! 2- The Phone Wall, China 2015. This is already a classic in the industry. This print campaign was done by Donghai Liu for Ogilvy Beijing advertising agency for Center For Psychological Research, Shenyang in China. It was released in the Apr 2015 and it’s a literal representation of the barriers to human relationships that screen addiction creates. 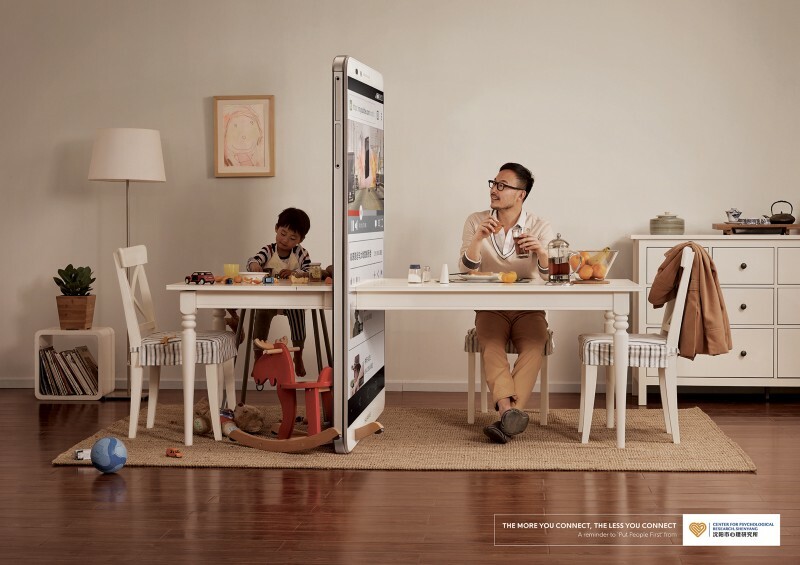 It’s not by chance that 2 out of 5 campaigns are from Spain, another 2 from China and 1 from the USA since they lead the top 5 in countries with higher smartphone addiction.